"The illustrations are adorable, beautifully complementing the rhyming text...I highly recommend this book for preschool to grade 3 and everyone who has grandparents!" 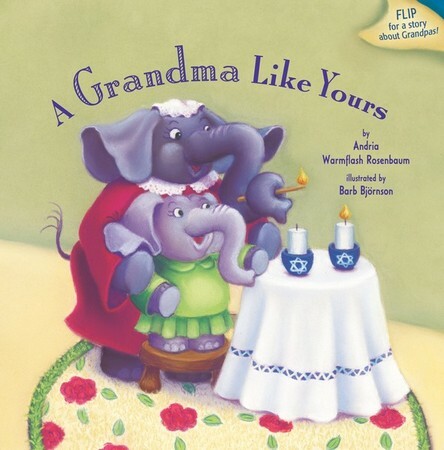 "Cute animals, sweet thoughts and loving ways inform the pre-school crowd about the various names for grandparents in English, Hebrew, and Yiddish. The targeted readers, ages 3-6, will find the situations amusing and comforting." "With charming illustrations and a singsong rhyming text, this flipbook appeals on many levels."